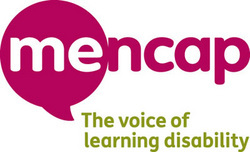 Amiga PD is a charityware site - if you download any disk images you are encouraged to donate to our chosen charity - Mencap -at our justgiving page. The downloads on this site are free. However if you enjoy playing the games, reading the reviews contained on this website you are encouraged to make a donation to my current charity of chocie Mencap. You can do this by visiting Amigapds just giving page. Recommendations donations would be £1 per disk image and £10 per CD image. These are compariable to the amounts you would have paid for disks from public domain libaries during the 1990's. The above download file is the work in progress Public Domain Compilation Disk. The disk is about 95% finished but there are still a few bugs which might exist and I welcome feedback identifying these so that I can correct them. 1. Not sell the CD image or burnt CD roms. 2. Not to distribute the CD without contacting Amigapd first. 3. Contact AmigaPd with bugs identified either by the contact us page or the comment box to the right. The latest version of the CD will be uploaded by Wednesday 9th February as the following errors have now been corrected. 1. Lord of Alcandia 2 now works - however intro has been removed as this was the cause of it not loading. 2. Lord of Alcandia 3 now works - however intro has been removed as this was the cause of it not loading. Firstly thank you to my family, Maria and Dylan for being patient as I ve created this website and CD compliation. Thanks also to the EAB members support and help with getting the toolkit to work, especially want to thank Boo Boo for helping to get the difficult games to work for me. Thanks to F1 Licenceware for allowing me to use Burton Bird.